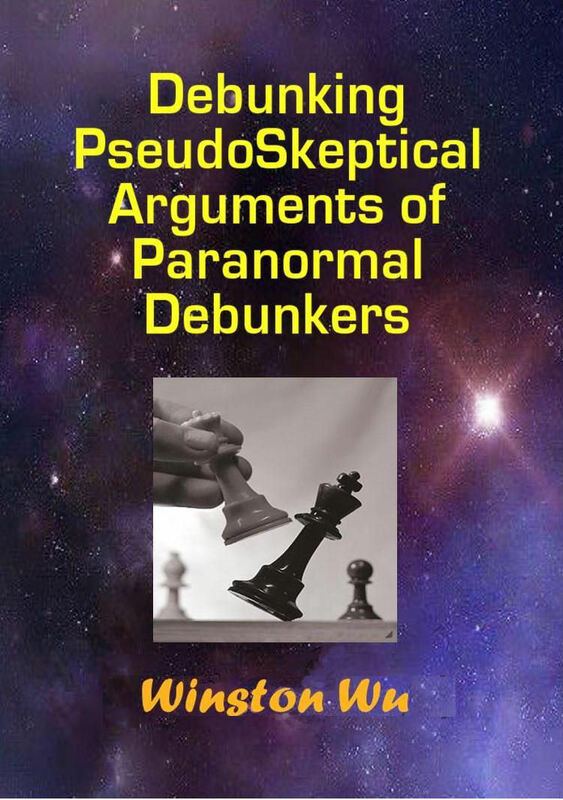 Pseudo-Skeptics are fond of repeating one of their Gospel laws, "anecdotal evidence is invalid" to dismiss any and all paranormal experiences they deem to be impossible. This includes testimonials from credible reliable people. There are obvious MAJOR problems with this. First, they are lumping all personal experiences and testimonies into one lump, in order to summarily dismiss them. This is inaccurate and unrealistic. Though no one claims that anecdotes are infallible, the weight of someone's testimonial depends on various factors, such as who they are and what situation they are in. For example, someone you've trusted for years who has always been accurate and reliable carries more weight than some random weirdo on the street spouting bizarre nonsense. You do not put them on the same level and in the same lump. That's common sense. Second, not all "anecdotes" are unreliable, and suffice to say, skeptics never define what they mean by "reliable". Are they seeking 100 percent accuracy, 90, 75, 51 or what? They won't specify and when pressed, they avoid it because it puts them in an attackable position where the burden of proof shifts to them. Skeptics use the fact that testimonials are not 100 percent accurate and flawless to discredit their validity (a flawless requirement is an impossible demand). Basically what they're saying is that if something is not 100 percent reliable, then it's invalid evidence, as good as no evidence at all. It's a shady tactic indeed. In other words, if something is 95 percent accurate and 5 percent inaccurate, then it is not "reliable" and inadmissible as evidence. That's holding the bar to an impossible standard and a pure dismissive tactic, nothing more. That's definitely not a truth finding tactic. The truth is, you also have to look at the situation and use proper judgment. In some situations, what you hear will be highly accurate. Suppose I went into a supermarket and asked a clerk what aisle the bread is in. And suppose he/she says aisle 11 with a confident tone. Now, what does common sense tell you? That they are probably right of course. The probability that they are right is very high, much greater than 50 percent, though not 100 percent (nothing is 100 percent when it comes to people). You can test this by going into many supermarkets and asking what aisle the bread is in and count how often they point to the correct aisle. It would not be surprising if the accuracy rate turned out to be 90 or even 100 percent. So, in this case, info tends to be reliable. Likewise, if you drove into a small town on a road trip and asked a local resident how to get to a popular attraction there, and he/she tells you with complete certainty which road to take and where to turn, it will most certainly check out as being correct. In a small town with a few main streets, it is not easy to make a mistake in giving directions as opposed to a big city, so the degree of accuracy will be extremely "reliable". On the other hand, if you were in a bar, and saw a loud obnoxious guy bragging to some lady he was trying to pick up about his income, assets, luxury home, accomplishments, success, etc. in a bragging tone, then common sense would tell you that he was probably "full of it". Or if you were listening to a high pressured sales pitch from people who want you to spend lots of money on what they were trying to sell, you could reasonably surmise that they have an ulterior motive and are likely to distort facts to suit their agenda. So you see, the accuracy of what you hear depend on the situation. They are not all in a zero sum category. Also, certain sources tend to check out. When my friends tell me about something on the breaking news, as soon as I turn on the news, I see the story they told me about. And most of what I remember checks out, even if it's something as simple as a movie I haven't seen for years showing the same scenes and details I remember when I watched it last time. And most of the time, when I leave something somewhere, I find it where I left it. So, if my own memory is generally reliable, why is it suddenly worthless if I remember a paranormal incident? That makes no sense. Memory is not 100 percent accurate of course, but that doesn't make it all "invalid". Now consider this. More than half the world's population have experienced something of a paranormal nature, usually involving psychic experiences or spirits. And these include people of all types, even the most highly credible and rational. Now what's the probability that ALL the billions of people are all wrong or hallucinating? Astronomically low of course. We don't know everything and there are many mysteries of the universe and reality yet to be discovered, so logically, we should remain open to new phenomenon and levels of reality, some beyond our wildest imagination. So, at the very least, a reasonable person would consider that some of these psychic experiences MIGHT be real, as a possibility. At the very least they can simply say "I don't know" and leave it at that. But what do the pseudo-skeptics do? They declare ALL of it as due to either hallucination, mistake, false perception or fraud! In other words, billions of people are all wrong. These skeptics act like omnipotent deities who know all the secrets of the universe with no unanswered questions! If that isn't a closed minded dismissal, then I don't know what is. Third, by definition an anecdote is a second or third hand story you hear. So does this mean you if you report a paranormal experience to a skeptic directly, that it is no longer "anecdotal"? If so, And if I am the experiencer, does that mean that it's no longer anecdotal to me, since it's my firsthand direct experience? If so, does that mean it's still invalid to me? If direct experiences were invalid, that would mean that the skeptic would be required to question all of his direct experiences too. Where do you draw the line? What they seem to be saying is that whether something is valid evidence depends on whether it happened to you or someone else. It's very unclear and inconsistent. Fourth, if anecdotes were truly invalid and worthless, then why does the Ebay feedback system work (as any experienced Ebayer will tell you)? Why do employers factor in an applicant's recommendation letters? Why do marketing companies take surveys? Why do courts count them as evidence in civil trials? Because they ARE worth something. So you see, if this pseudo-skeptical dogma FAILS in ordinary real life examples, then how applicable is it when applied to phenomenon on the breaking frontier of science and reality? Yet not surprisingly, when a testimony or account is against the paranormal, it is suddenly counted as "valid evidence". For example, in 1991 when Doug Bower and David Chorley claimed that they had hoaxed all 2000 of the British Crop Circles since 1978, skeptics took their word for it and declared the crop circle phenomenon "debunked" as a hoax. Suddenly, anecdotal evidence became valid to them. Again, typical double standard of pseudo-skeptics. And nevermind the fact that their claim was "extraordinary" in that they were two old men who claimed to create 2000 geometrical designs in crops whose complexity defies easy geometrical construction, but they were never even able to demonstrate that they could do what they claim. You have to understand that these pseudo-skeptics have their own rules and standards of logic that have nothing to do with formal logic in a textbook, and which they do not even apply to the beliefs they defend. And they dictate their "rules of logic" as though they were incontrovertible laws. But in reality, they are anything but, and contradict even common sense and common experience. For more on anecdotal evidence, see Argument 5 of the debunking skeptical arguments treatise on anecdotal evidence. Finally, here is what the world's top expert on NDE's, Peter Fenwick, has to say about the importance of anecdotes and how they are the raw material of science, courtesy of Steve Trueblue.